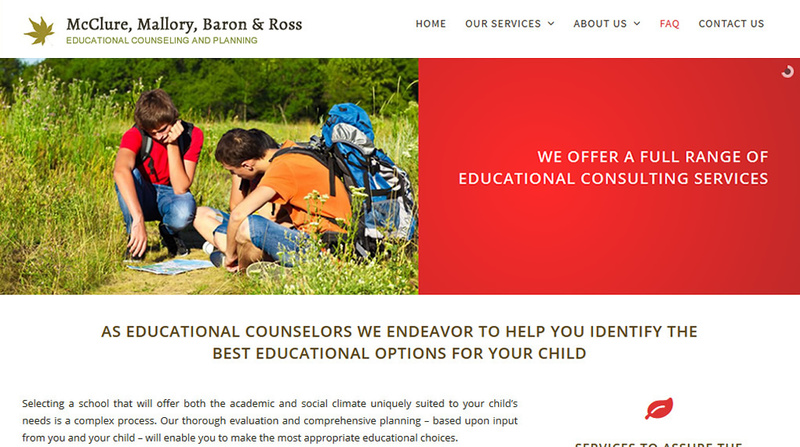 The project was to design custom dynamic website for educational counselors office based in San Francisco. They were interested to present their services, recommendations and frequently asked questions section in a mobile-friendly website. One design concept with some revisions was provided.